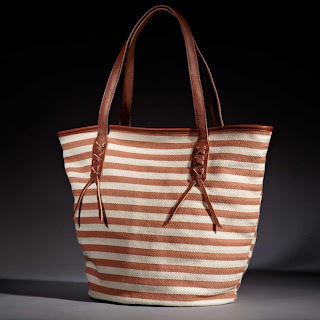 Meaning “basket” in Italian, the Cestino tote by Massi is roomy and functional. It's perfect for a day of shopping or a quick weekend getaway. 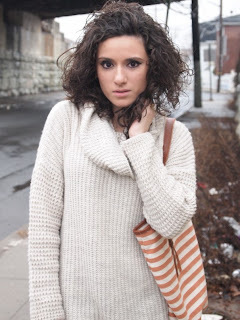 Each bag is made of herringbone cotton and trimmed with genuine leather handles and detailing for a classic look. The interior of the bag includes a zippered back pocket and two front cell phone pockets (this is a MUST for me-I hate having to dig around my bag for my phone). I like seeing how people style their bags in daily life. 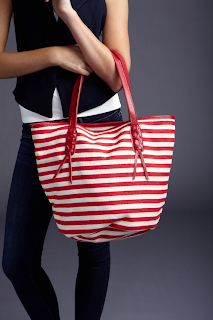 I love this tote for spring and summer-definitely the ideal beach or pool bag. But both of the outfits below show how you can incorporate nautical stripes into a winter outfit. Cute cute cute! 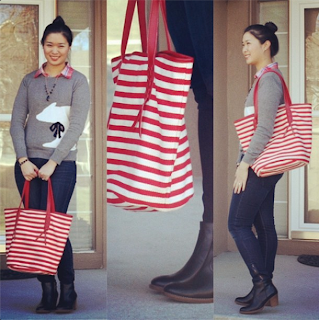 I adore the red bag!